Sturgis Buffalo Chip, South Dakota (August 30, 2012) The Sturgis Buffalo Chip® welcomes the legendary band ZZ Top as the first act confirming their appearance at the annual musical festival set for August 2 -11, 2013 during the Sturgis Motorcycle Rally. Rock and Roll Hall of Fame member ZZ Top, a long time favorite with campers and concert goers at the Sturgis Buffalo Chip®, will be part of what is expected to be one of the best line ups to date at the 2013 Sturgis Buffalo Chip® camping resort and music festival. More 2013 band announcements are coming soon from some of the biggest names in music. Early Specials for the best value on camping reservations and concert passes are available now at www.BuffaloChip.com. ZZ Top formed in Houston in 1969. Known as “That Little Ol’ Band From Texas,” ZZ Top has the honor of being one of the longest running major rock bands with all original members, Billy F Gibbons, Dusty Hill and Frank Beard, still making it happen. 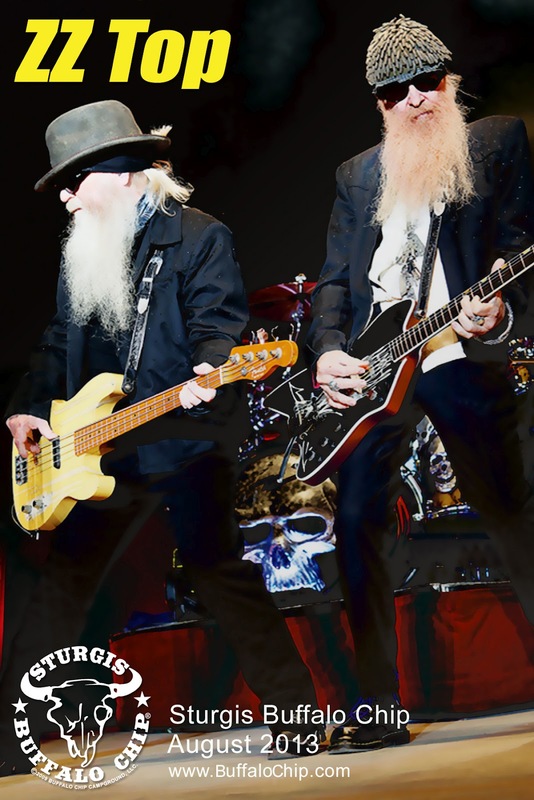 With their unmistakable mix of rock, blues and down home boogie sound, ZZ Top has sold millions of albums over their 40 plus year career. 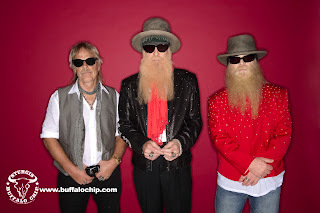 The ZZ Top boys are also known for their love of hot rods and custom motorcycles. The Legendary Buffalo Chip has been offering its guests the true Sturgis experience for more than 30 years with its premium camping resort and world class entertainment. You can make reservations for the 73rd annual Sturgis Motorcycle Rally at The Best Party Anywhere™ at www.BuffaloChip.com or by calling (605) 347 9000. 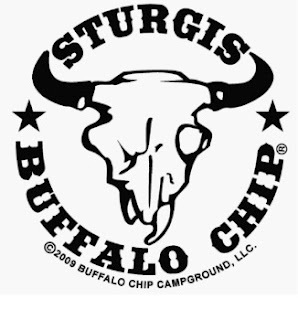 About The Sturgis Buffalo Chip- Sturgis Buffalo Chip® 2013 will take place August 2nd – August 11th, The Largest Music Festival in Motorcycling™ and the Sturgis rally’s cornerstone event will celebrate its 32nd consecutive annual concert series at their famed camping resort. Since 1982, the Sturgis Buffalo Chip® has provided unforgettable live music experiences and exciting activities for fans from around the world. The Sturgis Buffalo Chip® attracts the music industry's hottest stars and emerging talent and hosts a diverse selection of food and beverage vendors and interactive exhibits. Set on 580 acres, three miles East of Sturgis, the Buffalo Chip® is a festival experience like no other. More details are available at www.BuffaloChip.com .